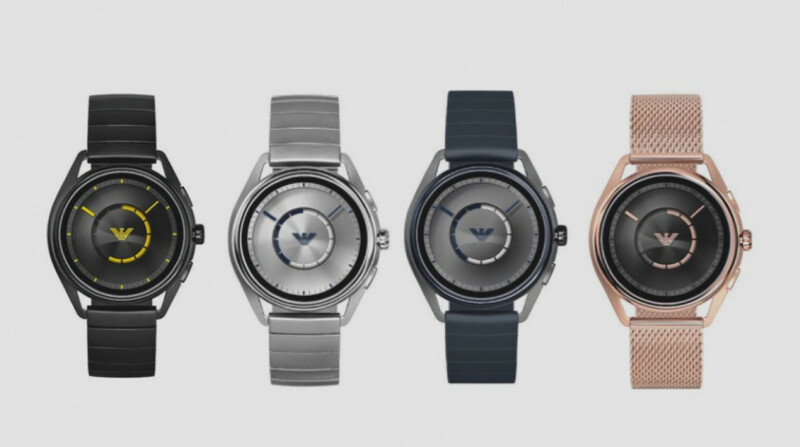 Emporio Armani's Connected smartwatch is no longer just a pretty face. The 2018 edition of the Connected Wear watch is up for pre-order and will go on sale in September with big tech upgrades - NFC payments, built-in GPS and heart rate tracking. That puts the Emporio Armani Connected up there with the Apple Watch as a real wrist all-rounder especially on the sports front. Plus payments is something we've been asking for on Fossil Group watches for months and months. What's nice is that we can now expect to see these features show up on Wear smartwatches from Fossil, Diesel, Michael Kors etc. There's also Google Assistant voice controls and waterproofing to 3 ATM so it's swimmer friendly. The on-wrist payments are handled by Google Pay worldwide and Alipay in China; it's the Mobvoi app store and Mobvoi Assistant for voice in China. Features like customisable watch faces (with new additions), smartphone alerts and music controls have stayed put from last year's Connected. There's a 1.19-inch AMOLED screen, it runs Wear OS and it's powered by a Snapdragon Wear 2100. Battery life is estimated at one to two days. It's not all about specs, though, Emporio Armani has built another stylish smartwatch. It's a 43 x 49mm watch made from stainless steel with elegant 20mm lugs, a range of colour finishes (silver, black, blue, green and rose gold) and both rubber and link bracelets to choose from. The new Emporio Armani Connected 2018 starts at $295 with styles at $345 and $395 to consider, it's available to pre-order now and it goes on sale in September from Armani stores, Armani online and 'selected retailers'.